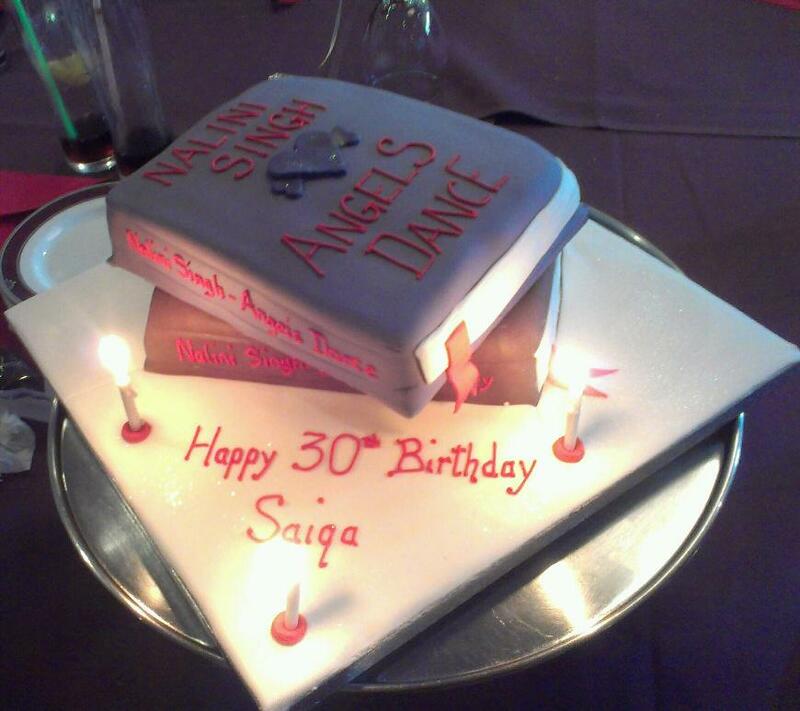 Nalini Singh's Weblog: Awesome birthday cake! Oh, WOW! Now THAT's an amazing cake! Happy belated birthday to Saiqa! Oh wow, I just heard that the pics of my cake are up. Thankyou for the kind wishes everyone. My sisters know I am obsessed with nalini, so every year they try and do something nalini inspired. But this year they surpassed themselves.I didnt even want anyone to eat it!I am honoured that nalini and you guys like it. Wow Saiqa, your sisters must love you and know you inside and out!that cake is inspired! 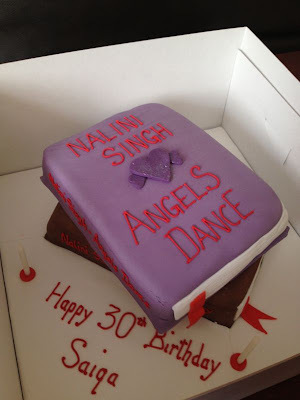 Hope you had a fantastic birthday, and it's great to know that others are 'Nalini' obsessed (in a good way)as much as I am...We are not alone lol! What an awesome thing to do for someone you love--seriously sweet and cool. Love the cake they did a terrific job on it. Happy belated birthday. Wow, what a nice cake! Makes me want to read a Nalini book - and eat cake lol!